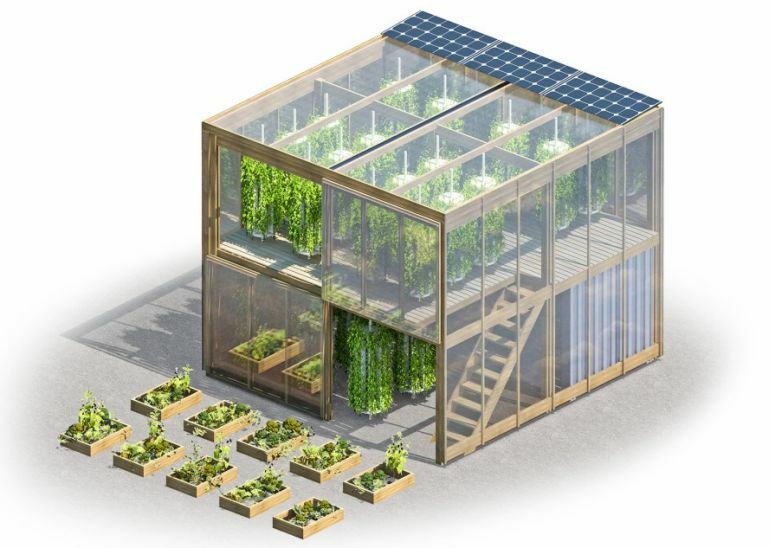 Danish innovators Mikkel Kjaer and Ronnie Markussen, of Human Habitat, have designed an ingenious flatpack farm that, as its name suggests, can be easily transported and installed anywhere in less than 10 days. Known as Impact Farm, this amazing concept aims at making urban farming smarter and more efficient, thereby providing city dwellers with fresh, locally-grown food as well as greater employment opportunities. A fairly recent practice, urban farming refers to the cultivation, processing and distribution of food, in and around urban locations. However, one of the major challenges of this type of agriculture is the lack of sufficient open spaces, especially in cities with very high population. 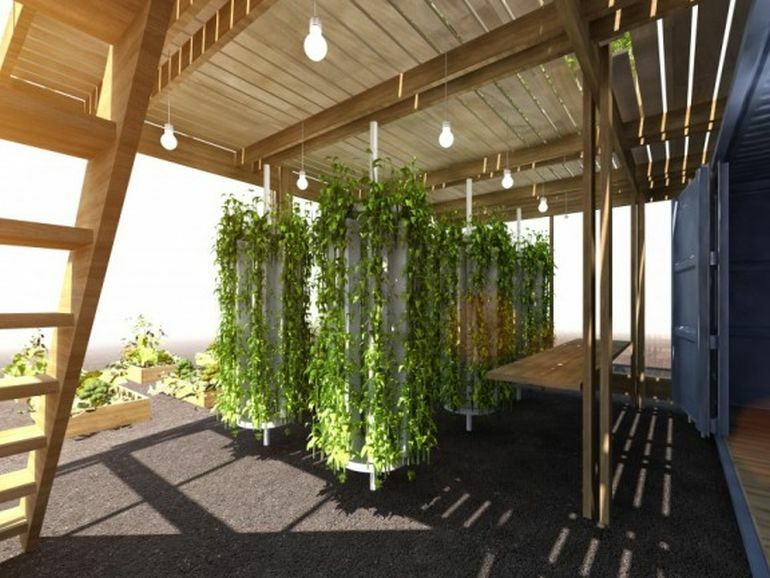 Denmark-based urban design firm, Human Habitat, has come up with an innovative solution, in the form of a simple flatpack farm containing vertical, hydroponic (basically, soil-free) gardens. Measuring around 430 sq ft when packed inside a shipping container, the farm expands to an area of about 538 sq ft, when unfolded. Thanks to its unique design, this two-story structure can be installed within 10 days, and can be easily taken apart and packed for relocation. What is more, it is completely self-sufficient in terms of water, heat and electricity requirements. In addition to supplying fresh food to city dwellers, the farm aims to reduce the ecological footprint of food production, while also creating new jobs to battle unemployment. We wanted to reconnect people to food by giving them a green space that brings nature back into our cities. 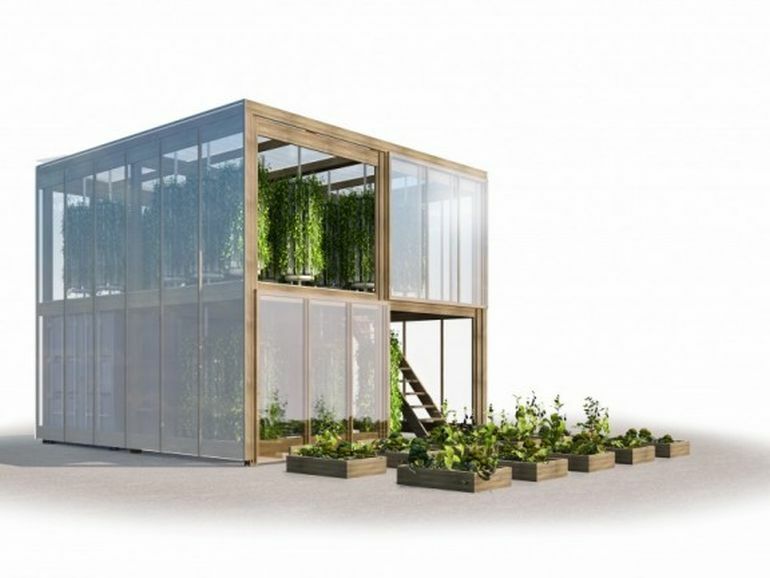 This urban farm is designed to grow herbs, greens (and also, microgreens) and fruiting plants, via the methods of hydroponics and aquaponics. According to the developers, the farm can be part of two models: an independent business-based enterprise with the goal of supplying herbs and greens to local restaurants and markets. Here, each unit could produce as much as 3 tonnes of crops, every year. Or, it can integrated into larger, community-driven projects, aimed at providing fresh vegetables and fruits to schools, nursing homes and hospitals. In this case, the farms could generate a total produce of around 6 tonnes, each year. If in five years there’s a better material that comes onto the market, we can replace it. Construction of the first Impact Farm will commence this week, at the Nørrebro neighborhood in Copenhangen. To know more about Human Habitat, head over to the firm’s official website.